Gloomy skies, cold winds, dark mornings. Yep, winter is on the way again. And with 2013 promising to be the coldest winter for many years, no doubt you will be looking for effective ways to stave off the chill. But there's also another concern for most families today: money. It's safe to say that these are difficult times financially, and having the central heating on full blast or running two convection heaters just to keep your toes from freezing off clearly isn't good economics. No, in the current climate, both physical and economic, austerity for most is not a choice but a necessity. If you find yourself in such a position, try implementing some of these money saving winter warmers. Almost two thirds of all heat in the home is lost through the walls and roof. By ensuring that your home is properly fitted with good quality insulation, all that heat won't go to waste. It's all very well having a great Glowing Embers wood burning stove with a twin wall insulated chimney system, but if most of the heat you're generating is literally disappearing into thin air, it defeats its purpose. Whilst the initial outlay for insulation can be relatively substantial, the overall savings on your heating bill will more than justify the investment. Before the cold weather hits, be sure to get your boiler serviced. If your boiler isn't running at peak efficiency, then you aren't getting the most from it. 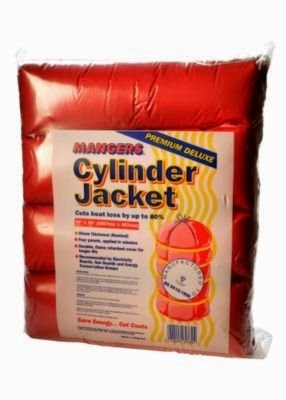 Also, purchasing a hot water tank jacket can be a sound and very inexpensive investment. These great little devices cost next to nothing from Amazon, and will ensure that your boiler water remains constantly hot. If your home is a few years old, the chances are that hot air may be escaping through small cracks or gaps around the windows. A good way to check is to light an incense stick around the supposed area, and see if any smoke escapes. If it does, you should either seal the gaps or, if you can afford it, consider installing double glazed windows. These not only keep the noise out, but are just as effective where weather is concerned! Essentially, if you try to keep all of your heating appliances running to optimum capacity and reduce the ways in which heat is escaping from your home, you simply won't have to have your heating on as much, which will save you considerably over the chilly months of winter. This post was brought to you by Daniel Evans, a part-time lecturer at Freedomfields College and has written extensively about home economy in the digital age. He occasionally writes feature articles for various web based heating companies.